I am just about to have a game of Inquisimunda / Necromunda with my friend Ben from Forgot My Tea and have been setting the board up this morning. 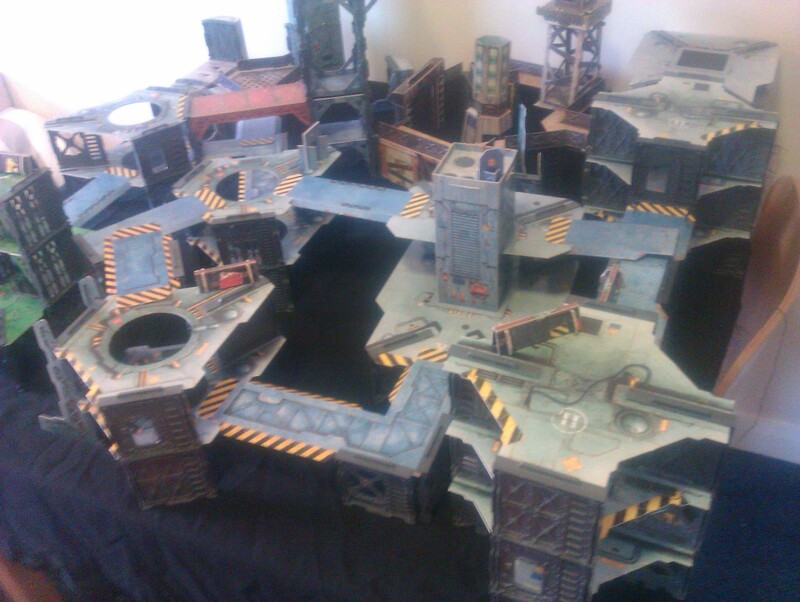 Just thought I would upload a picture of the board we will be playing across. 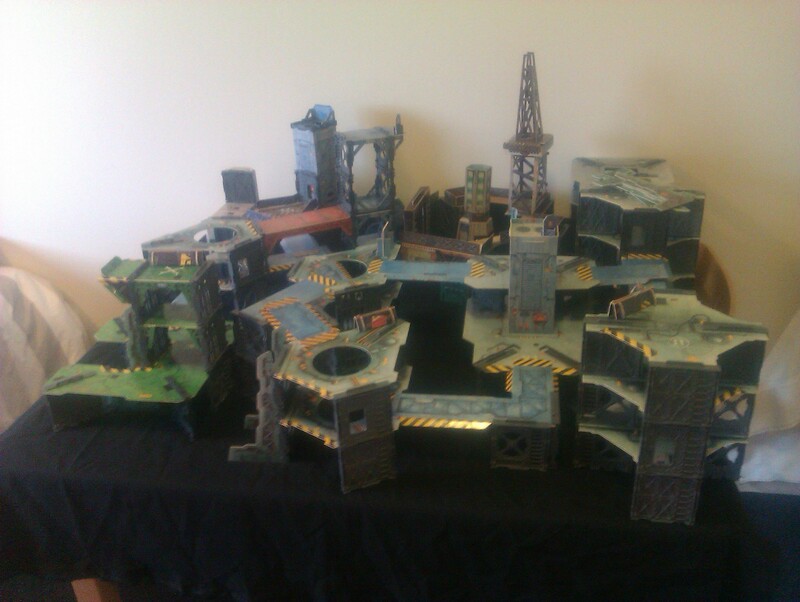 It can’t fail to be a good game on a table like that. Necromunda really is great fun and seeing the card terrain come out always brings back the memories. 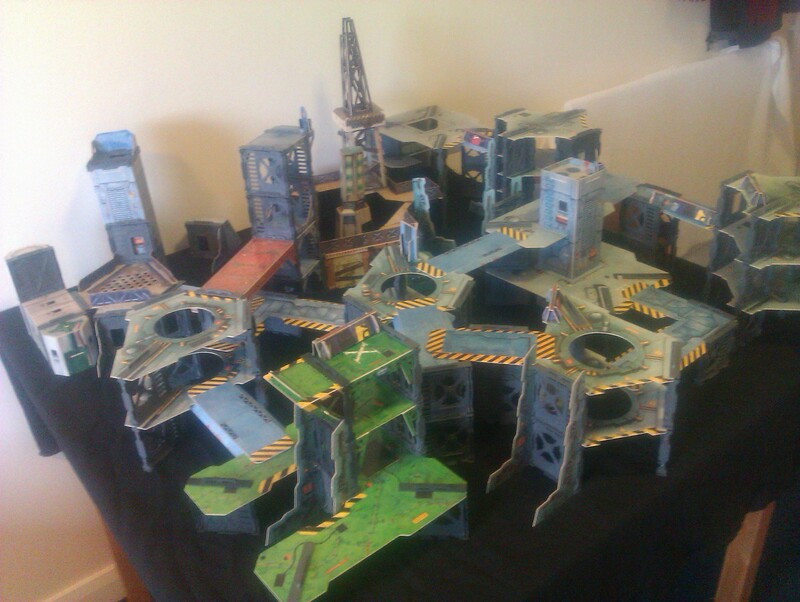 Not only a compact skirmish game, but even the terrain packs small. 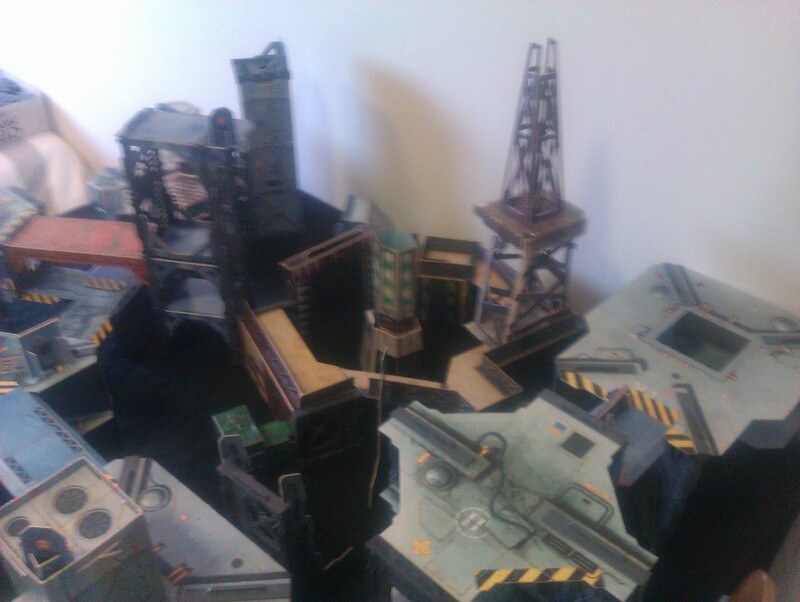 Being on a 4 x 4 table means I can cram the terrain on! I got luckily and bought a whole box of necro and gorkamorka terrain (two necro sets, one outlanders set, two Imperial Firebase sets, Gorkamorka fort and other bits and pieces) for a good price.